Plants spring forth from seedballs in Kalinagar, West Bengal. Seedball sprouts are popping up all over our villages. 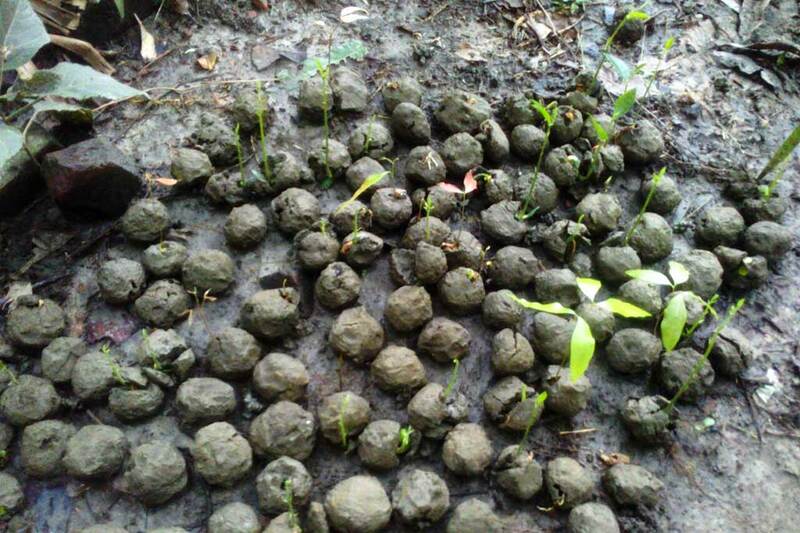 On the United Nation’s World Environment Day, village children planted seedballs—a mixture of mud along with cow urine and dung to hold and nourish the seeds. Now, one month later, the plants are growing in good numbers. Village Coordinator Prahallad Naskar sent this photo from Kalinagar, West Bengal. The children are excited to see the results of their hard work. The idea behind planting the seedballs was to give the children the experience of caring for plants. It also shows them how human beings and Mother Nature can join together to create a beautiful world.